If the title of this book conjures up a vision of yet another predictable volume of folk tunes from around the world, prepare to be surprised. For a start, the music of Azerbaijan and DR Congo don't tend to feature elsewhere. Secondly, the folk tune element, such as it is, remains authentic. Thirdly some of the numbers are pastiches. This results in a fascinating collection of duets! For example, Great Britain uses the rhythm of Rule Brittania to weave together fragments of the tune into a completely new setting. Ireland's slip jig is in a minor key and in 9/8 rather than 6/8, and Bulgaria uses the authentic Rachineca 7/8 rhythm. Other interesting features are the key clicks in USA and the cadenza passages in Hungary. My own favourite is Brazil which has some strange dissonances in an off-centred samba! 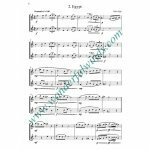 The parts are equal, and the mixture of unfamiliar styles and some tricky technical and rhythmic writing means that the standard covered is wide.There is plenty of material to justify the price tag, especially as extra pages have been included to facilitate page turns. 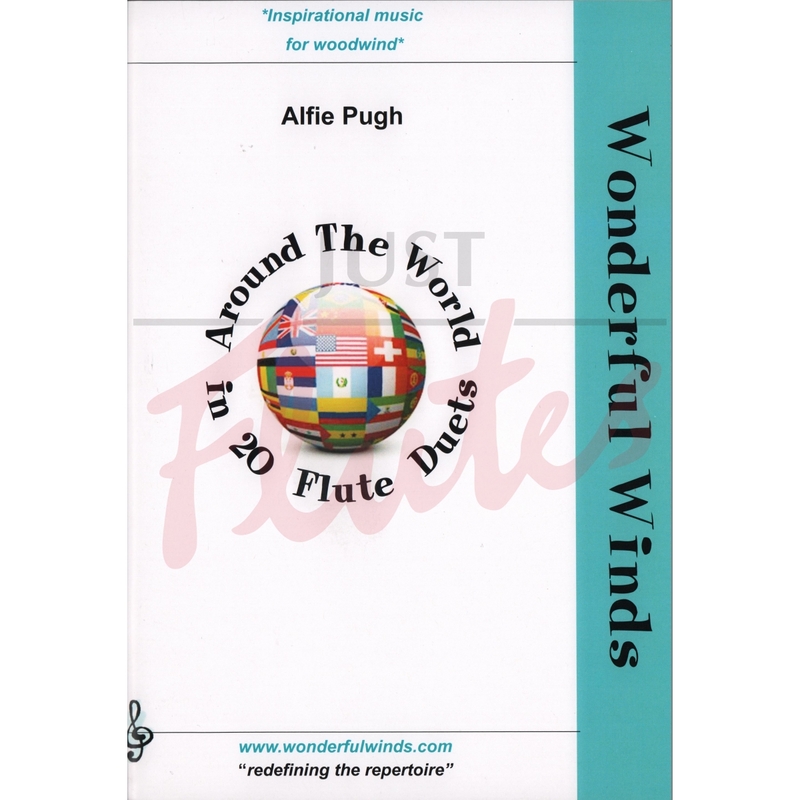 Alfie Pugh has come up trumps here, Wonderful Winds is a hallmark of quality, and this book is an adventure. You can't go wrong! This 'musical tour' is a recent publication from the ever-reliable an inspiring Wonderful Winds, with twenty duets ina range of styles from ifferent countries. As the introduction says, some of these are "more caractures than true pastiche", using the typical style used to represent Egyptian or Chinese music in Western media. Many of the others delve more deeply into authentic - and less familiar - folk styles such as the Bulgarian Rachenica, the Hungarian Lassu and the Soukous from D.R. Congo. These pieces provide fun duets at varying levels, with the easier ones manageable by players at around Grade 4. From a teaching point of view, they are excellent for introducing and exploring the features of different folk genres, and for discussing and experiencing the way different nationalities can be represented in music. There is a lot to work on in terms of unusual rhythmic and accent patterns, and ensuring accurate articulation to bring out the style of each piece. 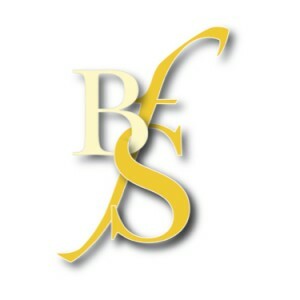 There is even a brief foray into extended techniques with some key clicks adding to the Dixieland Swing atmosphere of U.S.A.
As always with Wonderful Winds publications, the score is beautifully clear and well type-set, allowing both flutists to play easily off the same page. They have even included a set of extra loose pages at the back of the book for those pieces which include page-turns - a really helpful and thoughtful touch!